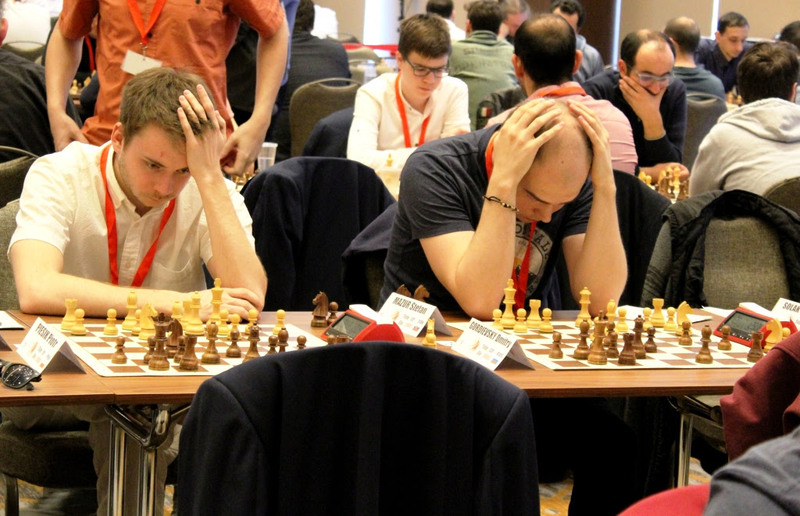 Seven rounds have been already played at European Individual Chess Championship 2019 and four players are in a tie for the top, each with 6 points. 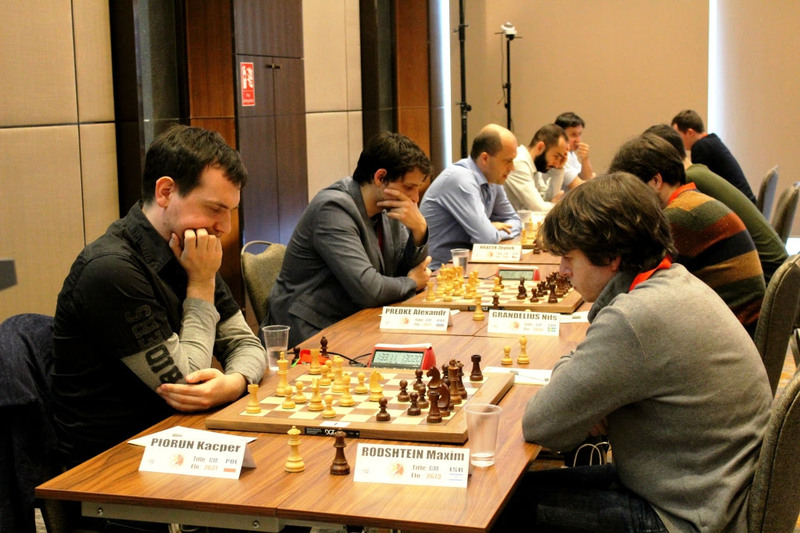 The clash of the leaders of the round 6, the game between Piorun Kacper (POL, 2631) and Rodshtein Maxim (ISR, 2673) ended in a peaceful manner. Position where Rodshtein had two pawns up, but Piorun initiative, was repeated three times and the leaders shook hands for a draw. Nils Grandelius (SWE, 2694) defeated Predke Alexandr (RUS, 2611) with black pieces in Gruenfeld Fianchetto variation. Grandelius made a strategical sacrifice after which the position transferred in a winning endgame for blacks. Even though the evaluation of the position was frequently changing, Swedish Grandmaster took a victory. 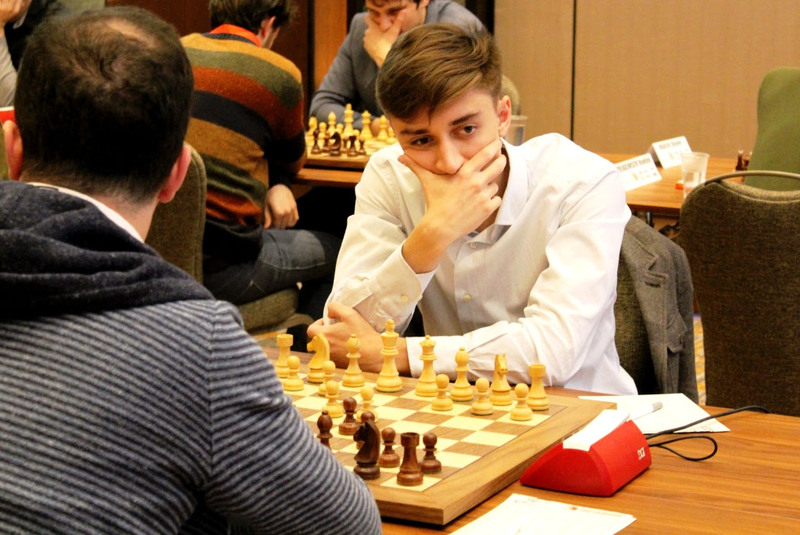 17 years old youngster Esipenko Andrey (RUS, 2603) outplayed chess legend Gelfand Boris (ISR, 2655) in Sveshnikov Sicilian. Gelfand made an unsound sacrifice of piece for attack, but Esipenko defended and exchanged pieces to achieve an endgame with huge advantage, which he managed to transfer into a win. Some of the favorites of the event, again suffered the upsets. 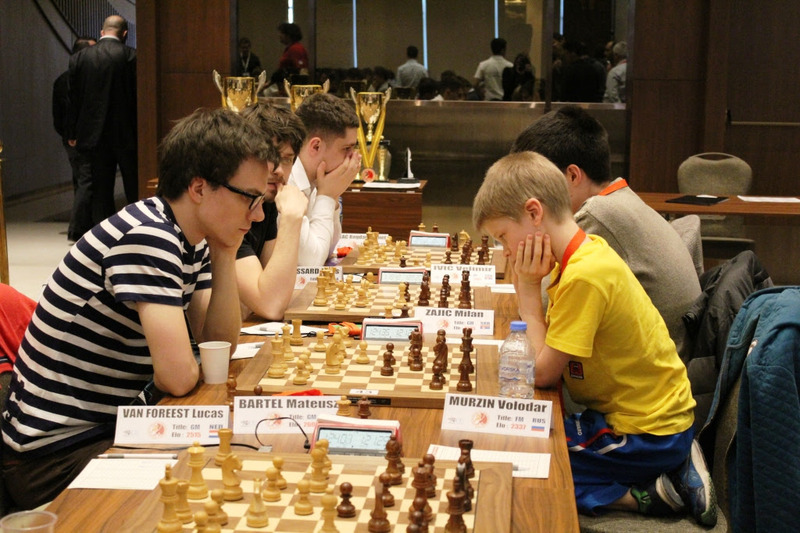 Dubov Daniil (RUS, 2703) lost with white pieces against Pantsulaia Levan (GEO, 2611). Pantsulaia sacrificed an exchange for a passed pawn, and after a technical overplaying, won a game. 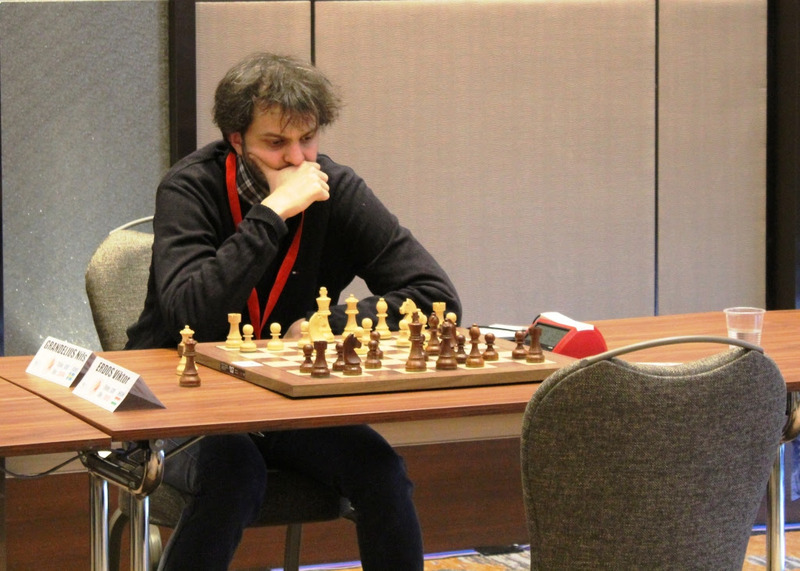 Armenian Grandmaster, Ter-Sahakyan Samvel (ARM, 2590) defeated Kovalev Vladislav (BLR, 2703) after a strong and undefendable King’s attack. 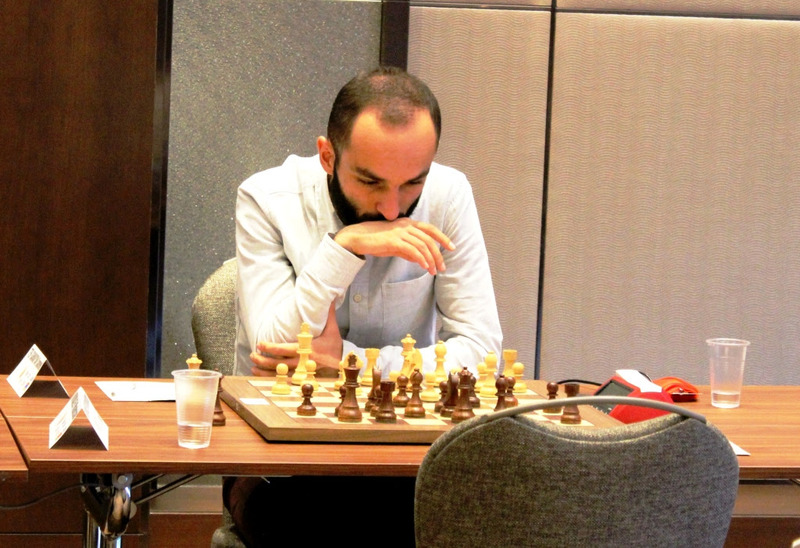 Meanwhile, Mamedov Rauf (AZE, 2701) suffered another lost to an underdog, Azarov Sergei (BLR, 2585) against whom he blundered an exchange in advantageous position. 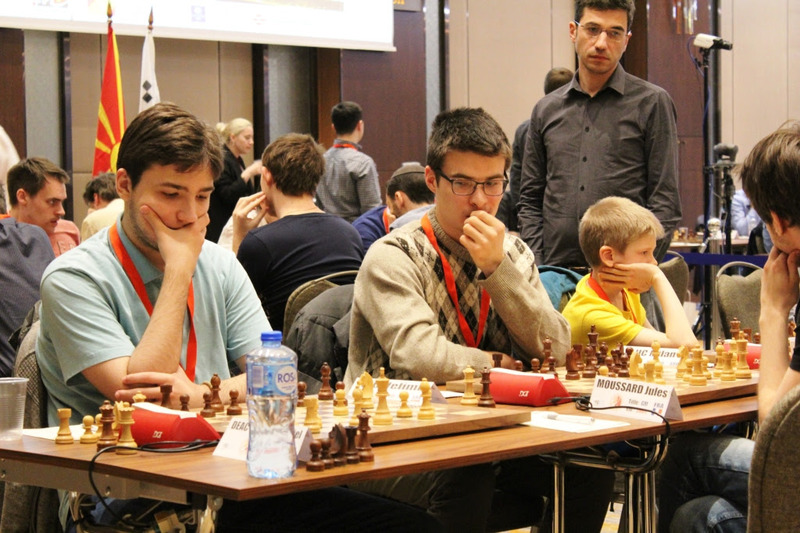 Mamedov fought a bit more, but Azarov was precise in an endgame and took a victory. Pairings, results and rankings after round 7 are available here, and the live broadcast of the games can be followed here. Round 8, which starts today at 15:00 (local time), brings another encounter of the leaders and runner-ups who leg behind for only 0.5 point. Grandelius Nils (SWE, 2694) meets with Piorun Kacper (POL, 2631), while Rodshtein Maxim (ISR, 2673) meets with Esipenko Andrey (RUS, 2603).